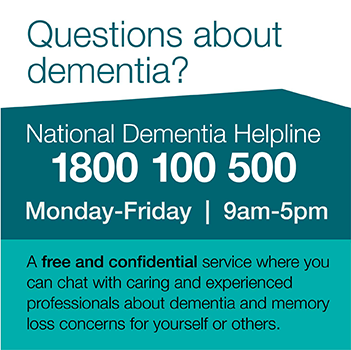 Dementia Australia is reminding Australians to look out for older members of their community ahead of exceptionally hot weather predicted over the Australia Day long weekend. Dementia Australia Executive Director Business Development Leanne Emerson said as temperatures continue to rise across the country, it is important to look out for older members of the community, and people living with dementia or a cognitive impairment as they may need extra assistance when it comes to coping with the summer heat. “Older members of the community and those living with dementia may not drink enough water and become dehydrated. They may be unaware of the forecast, take a regular walk and be caught out by the heat. They may not dress in light clothing, or know how to seek help if there are problems with their air-conditioning or fans,” Ms Emerson said. “If you know an older neighbour or relative, please keep an eye on how much they drink, minimise outdoor activities and help to ensure they spend more time in air-conditioned buildings. These can all add to their comfort. Ms Emerson said it is estimated that 70 per cent of people living with dementia live in the community. “With good care and support many people with dementia live well in the community and retain much of their independence. However it is at times of extreme weather when people living with dementia may need a little extra care,” she said.